Pros: Functions properly, nice sized bowl. Pros: It's small enough to fit in a mans pocket but not too small. It looks way better in person/ it has more of a blueish tint in real life. The carb hole is a very nice size and the hole in the bowl is small compared to a lot of other bubblers, I personally like a smaller hole so that whatever yourr smoking doesn't fall through. Pros: water reservoir is perfect size. 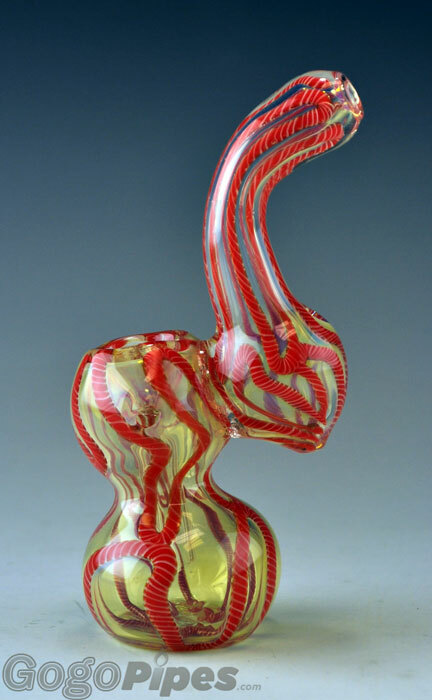 all around perfect size for a bubbler. nice deep bowl. deep enough to pass it around at a little get together. hits great. Cons: the size of the carb hole is a hit and miss and I unfortunately got a "miss" on this one. hole was a bit too small but it works anyway. Comments: would highly recommend this as a first piece or just another piece for the more experienced to have. simple. looks nice. works well. 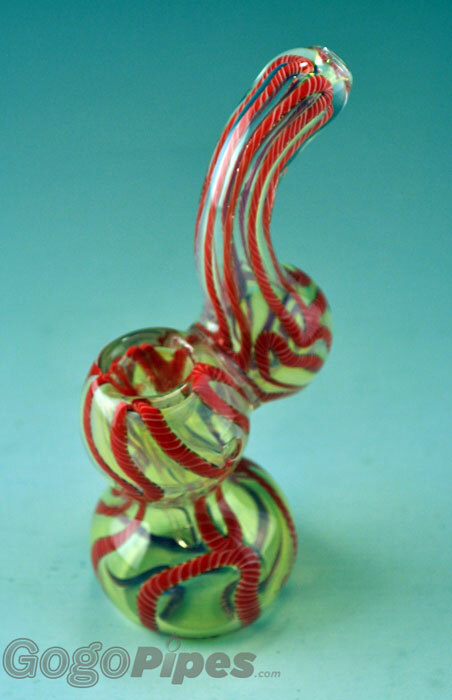 Pros: Amazing little bubbler. Fat bowl. Perfect size. Very happy. Cons: A little wobbly when standing alone. Not completely balanced. Comments: Add this little guy to your order, sreamin' deal for a bubbler. Pros: Hits great, nice colors, perfect size! Cons: not 100% balanced but works well enough. Comments: Thank You again for another great product!